My first Tiger Rattlesnake. Click on any for larger. 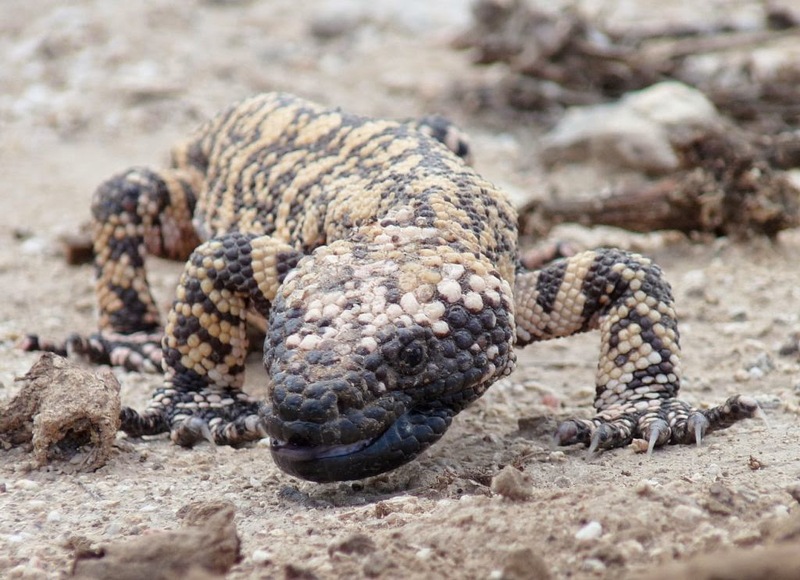 Gila Monster from earlier in the same hike. 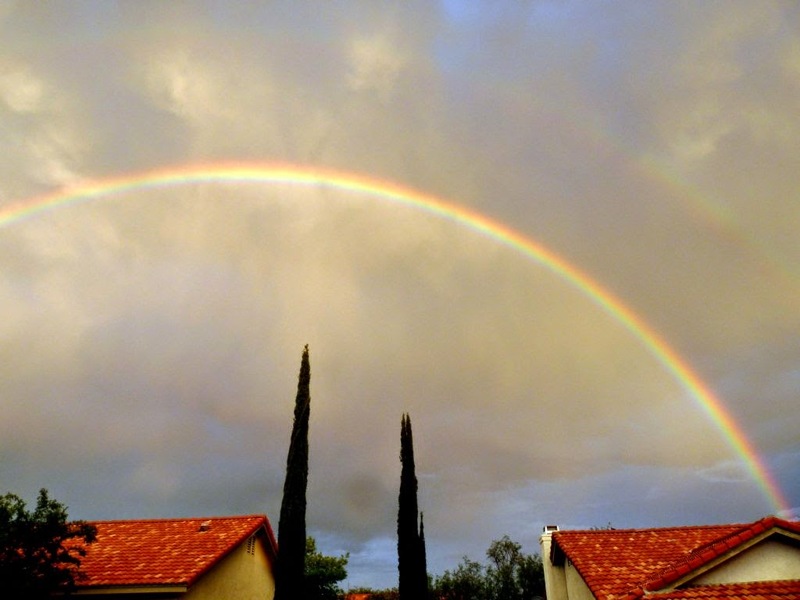 Another double rainbow, from our front porch. 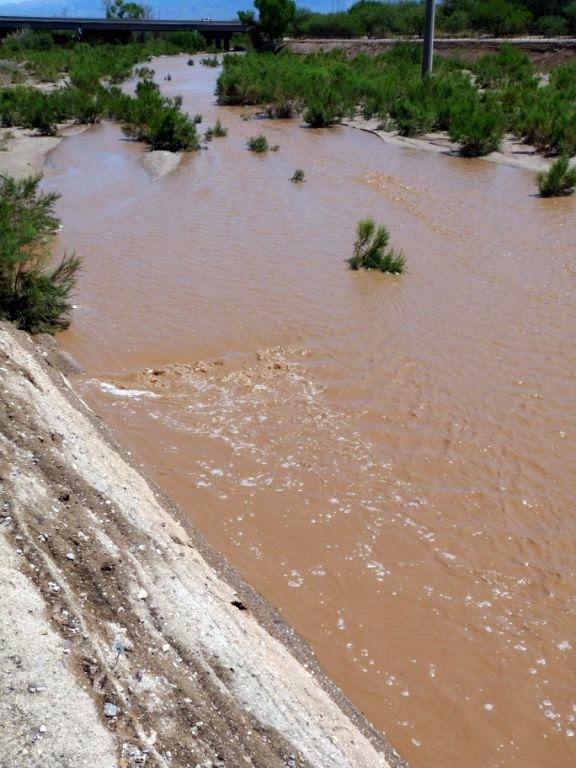 One of the few days the Rillito River is running. Yes, right along the trails. If you check out my Facebook page, you'll see a pic today from inside a bathroom.